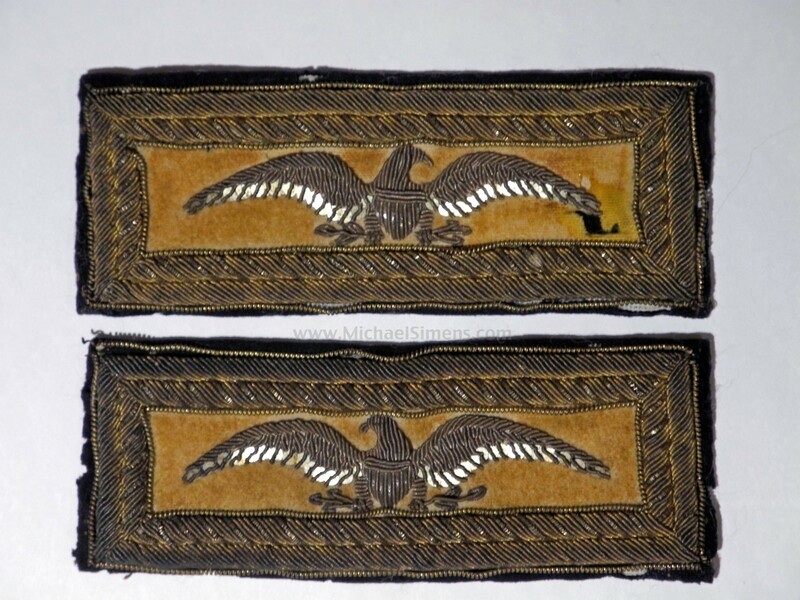 This is an outstanding pair of original Cavalry Colonel Shoulder Boards of double-bordered Gold Wire Bullion. The silver tips to the eagle feathers in the photo are just reflections from the light source and do not reflect the deep golden color that is retained by the wire and trim work. These are beautifully gold-tilted and in strong condition. 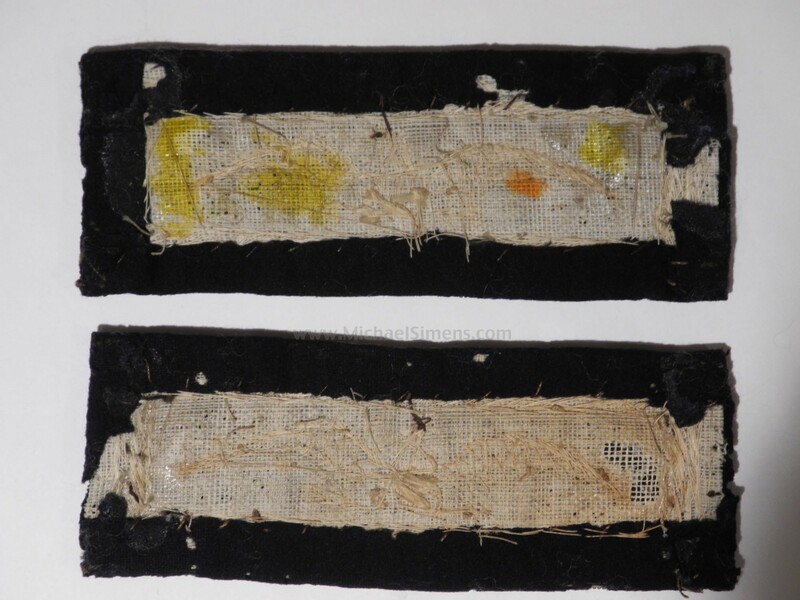 Check out some of the recent auction results on fine condition Civil War Shoulder Boards and you'll find that these extremely rare straps are priced appropriately.